Even though it was completed in 2017, the Ministry of Finance of Malta has kept the National Risk Assessment under tight wraps, for it finds the country to be a high-risk jurisdiction for money laundering. A number of Maltese media sources have been able to gain access, and the conclusions are extremely disturbing. 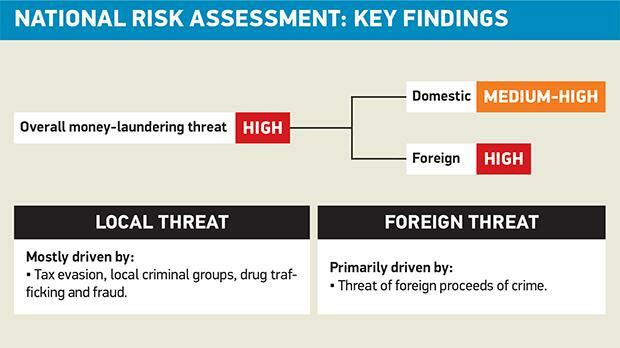 (1) Malta is at high risk for money laundering, and at medium-high risk for terrorist financing. 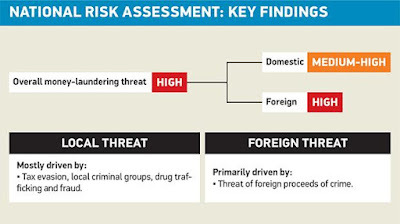 (2) The money laundering high risk involves the threat of foreign criminal proceeds arriving in the country. (3) Drug trafficking, fraud, corruption and bribery were labeled medium-high risk in Malta. (4) Banks, lawyers, trustees, corporate service providers, and offshore gaming were found to be at the highest level of risk for money laundering. (5) Terrorists could take advantage of the country's geographic proximity to other EU states, to move terrorist operations into Malta. (6) There are systemic weaknesses in cash control and cash movement into the airport and seaport.